Here at CulinaryReviewer.com we review a wide variety of Small Appliances for your kitchen and home. We have reviewed over 120 different items and are constantly adding new items. We look at a wide variety of factors when reviewing these items but the two we focus the most on are quality and value. We want to help you find a quality product that's going to last under the conditions you're going to use it. We understand that everyone shops on a budget and we look for items that give you the best balance of quality for your money. 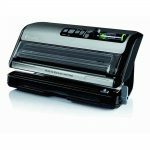 See our complete list of 45 different Vacuum Sealer Reviews, for brand reviews see our FoodSaver Vacuum Sealer Reviews, Nutrichef Vacuum Sealer, Gourmia Vacuum Sealer Reviews or Weston Vacuum Sealer Reviews. 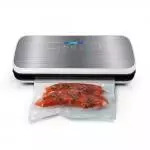 See our complete list of 18 different Vacuum Sealer Bag Reviews, Commercial Grade Vacuum Sealer Bag Reviews or Generic Vacuum Sealer Bag Reviews. See our all of our Sous Vide Reviews. We reviewed 33 different Sous Vide Precision Cookers from 14 different manufacturers. The consumer level prices ranged from $.00 to $199.99 with an average price of approximately $90.00 . 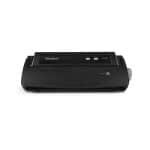 The highest rated model was the Anova Bluetooth Sous Vide for 79.99 .